Is there anything more frustrating than the out of range error message on your baby monitor? The last thing you need when your baby finally goes to sleep is to be stuck within a small perimeter of your house so you don’t risk being out of touch with your sleeping – or possibly screaming – baby. Nap time is one of the few quiet periods of the day where you can get things done. It is time to liberate yourself from primitive technology and take advantage of the modern baby monitor, and the connection range that comes with it. Cast off that virtual ankle bracelet with this list of baby monitors that will allow you to venture as far and wide as you feel comfortable… assuming you don’t live on some crazy acreage of course. The key criteria for this set of baby monitors is how far from the child unit you can be, while retaining performance. It is quite extraordinary to consider that you could be up to 2,000ft away from your sleeping child and still get clear video and sound via the parent unit. Whether you have the stomach to be that far away from a sleeping child is another story. But it is a nice to have in case of emergency. Most digital monitors are equipped with a 2.4 ghz frequency, which allows for a better quality and longer range connection over standard analogue monitors. You will also experience less static and white noise, which can be unpleasant an prevent you from hearing what is actually going on in the nursery. With the increase in cases of monitor hacking, you want to make sure yours is safe. Most digital monitors are equipped with digital enhanced cordless telecommunications, or DECT. This keeps your monitor secure. What good is a baby monitor if you cannot see or hear your baby clearly? 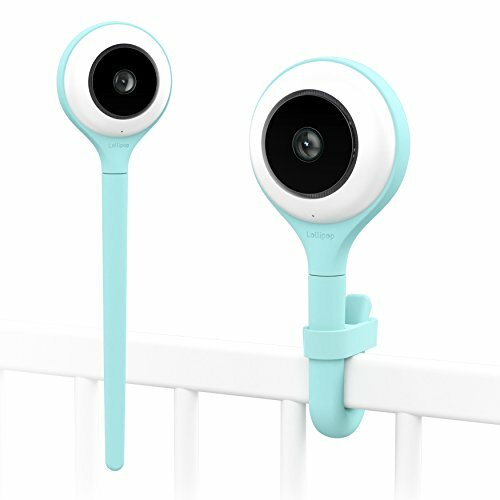 A strong connection, digital technology, and good quality monitor ensure that you will be able to be connected to your baby at all times without missing a single coo or cry. 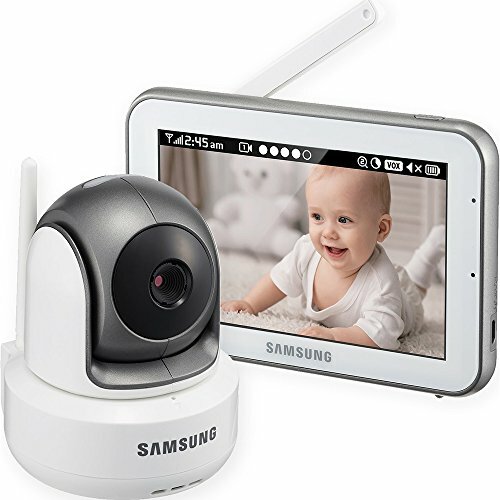 Master of all things electronic, Samsung does not disappoint with the video baby monitor. The diverse features and sharp technical specs is why we have made this our top pick. Maintaining connection up to 900 feet and giving you full control over the camera angles from the parent unit, you will never feel that you are far from your baby. The built in lullaby feature might come in handy if you choose to really push that 900 foot distance. This could buy you some time to settle the baby before you can make it all the way back to the nursery. This monitor has a large 5" screen on the parent unit, and a high resolution 720p video feed which is crystal clear. You have a number of options to help preserve battery life such as quiet mode VOX, which keeps the screen dark until your child actually cries, and audio mode, which allows your video monitor to be used like an audio only monitor. With all these features you can expect to pay a little bit more for the SEW-3043. When using scan mode with multiple cameras, there is a slight delay between switches, the scan stops if the screen is touched (which is easy to do due to the large size of the screen). Audio mode VOX does not work when the unit is scanning, which means the screen stays on even if there is no sound. Sometimes audio is all you need to make sure your precious little one is safe while she is napping. 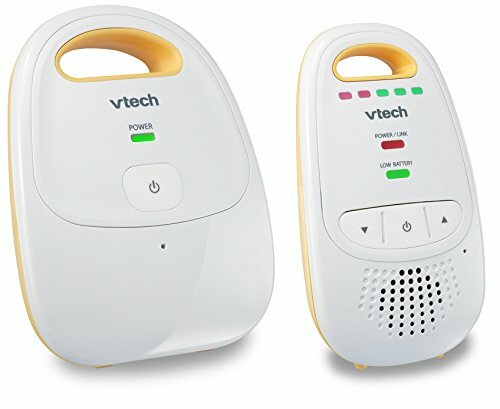 This monitor by VTech has up to a 1,000 foot range, allowing you to maintain connection is all areas of your home. This is obviously a budget option. The absence of the video feature makes this a great entry level monitor that will get you the longer range that you need. This monitor is equipped with DECT technology, which not only helps keep your connection secure, but also improves the sound quality of your monitor. You cannot recharge this monitor and are limited to disposable AAA batteries, or you can just leave it plugged in. 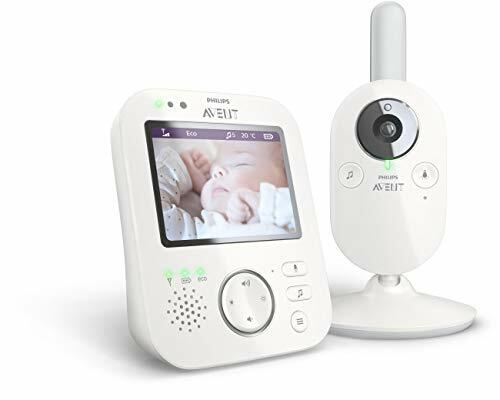 Philips AVENT is an excellent brand for all things baby, and this video monitor is no exception. With just under a 1,000 foot range, your connection will not be limited by the size of your home. We loved the temperature sensor on this model. You will know what the ideal conditions are for your baby to have an uninterrupted sleep, and this feature serves as an advanced warning system that your baby may become unsettled. Always helpful to be able to fix this before you have the screaming baby to contend with. Frequency hopping technology limits the possibility of interference from other devices or hackers, making for a more secure connection. This product comes equipped with talk back capability and temperature reading on the parent monitor, and lullabies and night light on the camera unit. There are no tilt, pan, or zoom capabilities from the parent unit, requiring any angle adjustments on the camera to be made by hand. The camera, particularly in night vision mode, has a bit of a grainy quality, which can make it difficult to see your baby clearly. The Lollipop Smart Monitor offers the latest advancements in technology in a small package. Simply pairing the camera to your smartphone via mobile app, you have unlimited connection range. This can be great for working parents who want to keep an eye on the caretaker. The risk that comes with this is that you need to make sure you keep that cell phone battery charged!! Instead of a parent unit, this camera feeds directly to your smartphone via mobile app via your home’s WiFi network or Bluetooth connection, which makes for a stronger connection and higher quality picture. Due to the unique design, there are 3 mounting for the camera unit - it can be wrapped around a cradle rung or bent into a freestanding unit, or you can utilize the included branch-styled handle to mount it to the wall. Wandering outdoors while connecting to this monitor requires that your camera be connected to the phone via WiFi connection, which means that the video feed is being fed into the cloud. This could compromise the unit’s security. With this advanced technology, the price tag on this product is a bit higher than some other products. 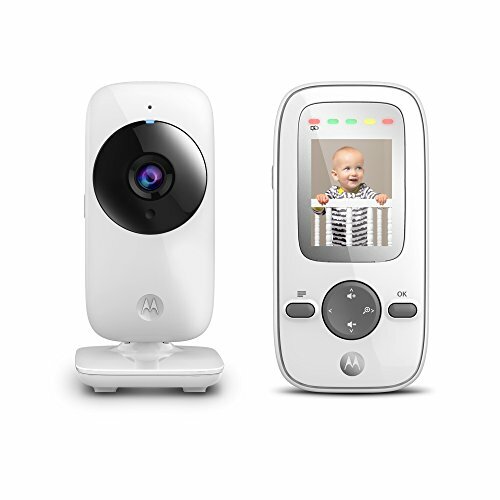 Motorola has made video monitoring available to parents of all budgets with the help of this baby monitor. It boasts a low price tag and up to 1,000 feet of connection coverage so you can keep an eye on your sleeping baby from anywhere in your house. We liked the out of range alert built into this model. It will be hard to keep track of the 1,000 foot limit and this would just give you a gentle reminder that you are pushing it. Compared to other video monitors, this one actually falls on the cheaper end of the scale, making video affordable for anyone. You have the option to zoom the video on the camera from the parent unit to see your little one better. The screen on the parent unit is a bit small, at only 2 inches, which can make it difficult to get a clear view of your baby’s room. Aside from the ability to zoom the camera view from the parent unit, there are no other adjustments available by remote. Any angles can only be achieved manually. Some of the technology we have covered is amazing! But it also comes at a price. Hopefully the above information has helped you find the right balance of features that will suit your needs and your budget. We like the Samsung, even though it has a slightly lower distance range. But if you really need to venture further than 900ft from your sleeping baby then the unlimited connectivity of the Lollipop is what you need - and a great pair of running shoes!